Kathryn has practised in the Hunter for over 15 years in cosmetic medicine and laser. Graduating in medicine from Monash University in 1986, Dr Kathryn spent 15 years in general practice before training with a leading Sydney cosmetic surgeon. 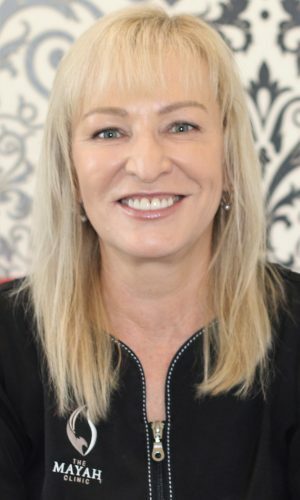 She keeps up to date with new products, technology and techniques by attending cosmetic medicine and laser conferences each year, and has advanced training in skin cancer medicine and dermatology through Queensland University training programs. 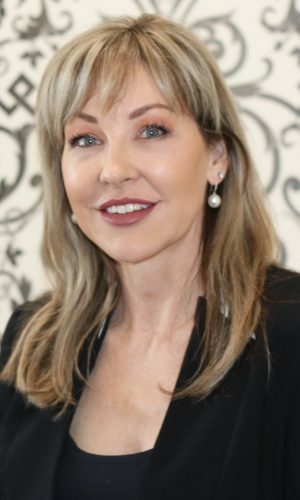 Dr Kathryn is a founding fellow of the Australasian College of Aesthetic Medicine, Cosmetic Physicians of Australasia and has a Diploma in Skin-Cancer Treatments. She has also completed the Advanced Injectable Facial Transformation Master Class. Jasmine is a qualified dermal therapist has packed her ten years in the beauty industry with a variety of training and work experiences. She has used a range of top cosmetic and beauty products in her positions, which included salon management. She enjoys providing formal, wedding and special-occasion makeup – now with the beautiful Jane Iredale Mineral Makeup. She remains up to date with advanced training with Rationale, Dermapen and Jane Iredale. She is a qualified Laser Safety Officer. 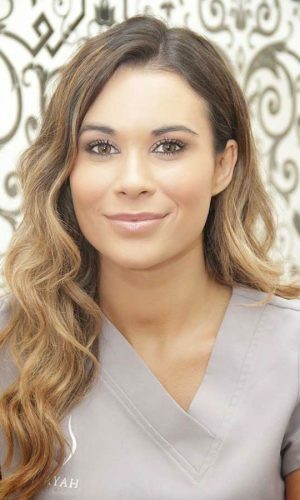 The Mayah Clinic is proud to have Jasmine performing our specialised Rationale Facials, Microneedling treatments, Cold Laser, LED Photonsmart, skin analysis with our Visea machine, threading, waxing, brow tinting and shaping, Lash Lifts and Lash Extensions. 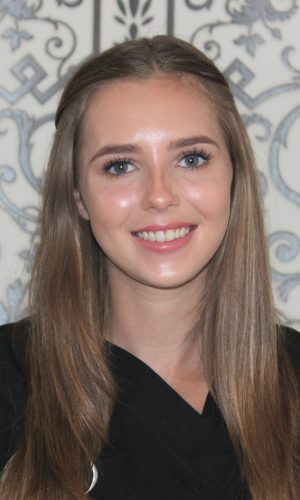 She is fully qualified Cosmetic Tattooist using a variety of techniques as required – including microblading and feathering producing beautiful natural results. Tania brings over 10 years of experience in medical administration to The Mayah Clinic. She has worked for over 22 years with local pharmacies. Tania has developed a caring and considerate approach to client needs as a result of her health care industry experience. Tania has a wealth of experience working beside practitioners of Dermatology and skin care services. She has an understanding of current methods used in the provision of cosmetic skin care. Tania is trained in the application of Jane Iredale makeup and the Rationale skin care product range. She maintains a current knowledge of these product through industry publications and regular training updates. She is able to provide answers to your questions about our products and procedures. She can also ensure your bookings are professional and appropriately. Brodie is a qualified Beauty Therapist and certified laser practitioner. She has worked in the beauty industry for the past 5 years and is trained and up to date in advanced training with Rationale, Dermapen and Jane Iredale. Brodie enjoys performing our skin treatments that include Rationale facials, Micro-Needling, LED light treatments, cold laser, Visea skin analysis and beauty treatments including lash lifts, brow shaping, tinting, waxing and threading. With a passion for make-up she also provides special occasion and formal makeup with the Jane Iredale make-up range. With marketing and administration experience Brodie also creates our email newsletters, website updates and you’ll see her at reception on Friday’s.